The final cut of “A Charlie Brown Christmas” was first shown in early December 1965 in California to the staff that had hustled to meet a demanding six-month deadline. After the credits finished rolling over “Hark! The Herald Angels Sing,” the crew was silent, unsure if the show’s many innovations worked. An animator in the back of the theater, who reportedly had a bit too much to drink while celebrating the special’s completion, broke the tension with what seemed like a ridiculous statement: “ ‘A Charlie Brown Christmas’ will run for a hundred years.” Remarkably, it might make it. Monday night’s airing, almost a half century after that first showing, prompts speculation about the show’s longevity. How has a cartoon become as traditional as decorating the tree? “Peanuts” creator Charles M. Schulz’s attack on the commercialization of Christmas is often cited as the key. More significant, though, is the show’s power to touch viewers personally. As recent reviews of “The Peanuts Movie” note, the comic strip’s wide appeal rests in its ability to link adult sensibilities with the exploits of a gang of kids. 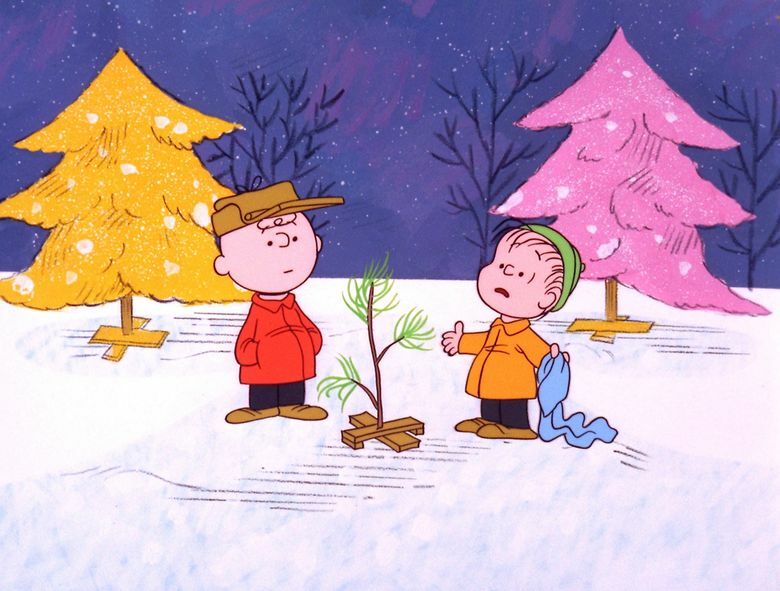 In “A Charlie Brown Christmas,” Schulz focuses on alienation, one of his favorite themes. Early in the program, Charlie Brown looks for just one Christmas card to help him shake the yuletide blues. When he finds his mailbox empty, he remarks: “I almost wish there wasn’t a holiday season. I know nobody likes me. Why do we have to have a holiday season to emphasize it?” Charlie Brown’s real dilemma is being rejected and misunderstood. Schulz realized that Christmas has a dark side, murkier than the stress caused by excessive shopping, partying and entertaining. Despite the glow of lights, many face a terrible struggle with loneliness and loss during the season. Of course, the creator of “Peanuts” was not the first to recognize the incongruity of Christmas. Consider “A Christmas Carol” by Charles Dickens. An overlooked point in the definitive holiday tale is that Ebenezer Scrooge is Ebenezer Scrooge because of a difficult childhood. Just as Charlie Brown is the only character feeling empty as Christmas approaches, Scrooge is the only schoolboy who has not gone home for the holiday. In an empty classroom, he desperately seeks comfort in reading books. Scrooge weeps to see “his poor forgotten self as he used to be.” It’s a crucial moment. Reminded of the pain of loneliness, Dickens’ most famous character takes the first step to becoming a loving, generous soul. Like Scrooge’s encounter with the Ghost of Christmas Past, “A Charlie Brown Christmas” can take us back to the earlier Christmases in our lives. Yes, visiting the past can haunt us as we’re reminded how quickly we move through the stages of life. We can be saddened by recollections of a better self, friends lost or loved ones no longer with us. Remembering, however, can also inspire fond memories. The generation that grew up in the pinnacle of the “Peanuts” craze in the 1960s should be particularly sentimental when the animated special airs. The show’s producers repeatedly tried to convince the cartoonist to cut a scene using an old source, one much older than “A Christmas Carol.” Quoting the Bible was too religious for television, they argued. Schulz was adamant, and what many consider the greatest minute in animation history remained. That’s the timeless idea at the heart of the program. God loves us. Given this, “A Charlie Brown Christmas” may well endure as long as the holiday is celebrated. © 2015, The Philadelphia InquirerMark Noon is an assistant professor of English at Bloomsburg University. He wrote this for The Philadelphia Inquirer.